Red-hot rapper Machine Gun Kelly lives up to his name with a rapid fire delivery and crackling stage presence that, in the words of one of his trademark songs, get crowds to “lace up,” for a spiky, hard-edged experience. Any lightshow at a concert by “MGK,” as the lanky rapper is affectionately known to his legion of fans, better be able to blow past conventional expectations with brain searing intensity, which is precisely what lighting designer Alex Kay delivered for the rapper’s recent “No Class Tour,” a 40 city escapade done with iconic metal band Limp Bizkit. 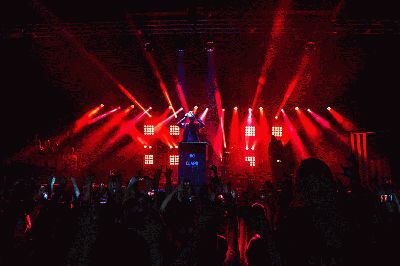 Kay, who’s been working with Kelly since the 24-year-old rapper was doing local shows in his hometown of Cleveland, used a power blasting collection of fixtures provided by 4Wall Entertainment Lighting’s Los Angeles office that utilized aerial beams, strobes, colorized foggers and a collection of super intense Nexus 4 x 4 panels from CHAUVET Professional. The Nexus panels were used to anchor “towers of power” on the No Class Tour. 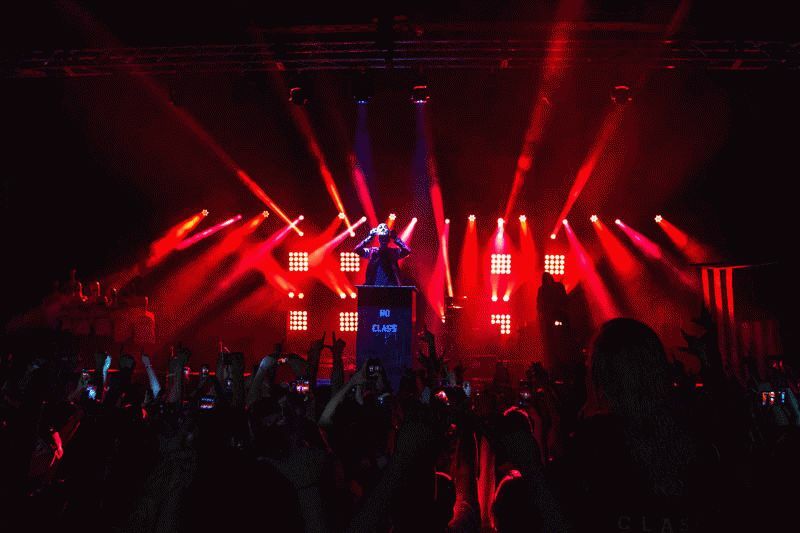 Kay’s design had a total of four 10-foot and two 5-foot truss towers positioned upstage to focus attention on MGK and his band. A pair of Nexus panels was arranged on each tall tower, sandwiching a high-output strobe and below an aerial moving beam. The smaller truss towers had moving LED beams positioned on them. According to Kay, the intense output of the Nexus panels “had no trouble keeping up” with the brightness of their beam and strobe neighbors. Although the flexibility of the design was important given the varied size of the tour’s venues, more essential to Kay and his client was the powerful impact of the lighting rig. Kay knew his rig had to project and reflect the raw emotional power that characterizes MGK’s recordings and performances. The intense output of the Nexus panels helped him deliver this impact. Another crowd favorite were the streams of colored fog that enveloped the stage at critical points in the concert. The fog was produced by the CHAUVET DJ Geyser RGB fogger, which shoots beams of RGB light through thick clouds of water-based fog to create a stunning visual impression.